Quote from this Website: "Over the last 30 years and hundreds of spills it has been found that the recovery of more than 15% of the floating oil at sea would be classed as good! This becomes more obvious when you look at the photo below and see the area of sea covered by oil and the amount of vessles with booms available at short notice to respond to the incident." 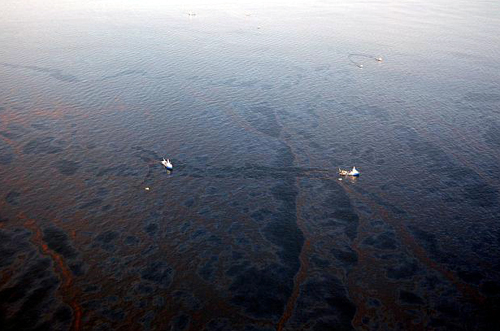 "In this case (Deepwater Horizon) 3% was recovered at sea"